Welcome at the MV Lab! 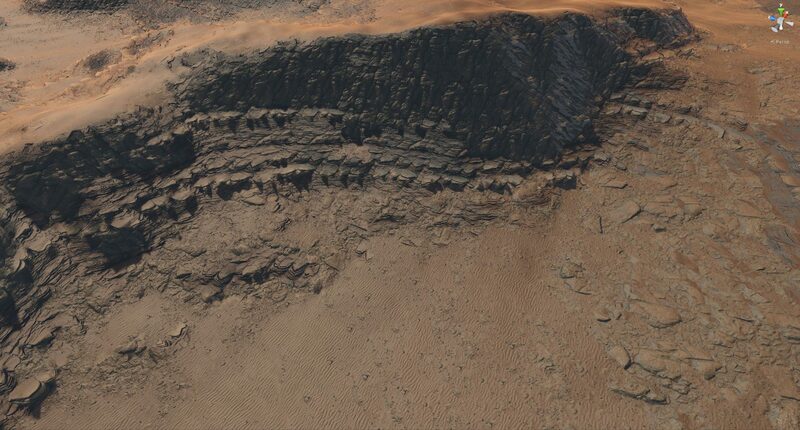 Drag the slider to see the difference between sand covered rocks and no sand covered rocks. I used a rather complex shader network to accomplish this feature. A common way is to use heighblending, but here I took it one step further. The sand can be raised and lowered based upon a painted area. 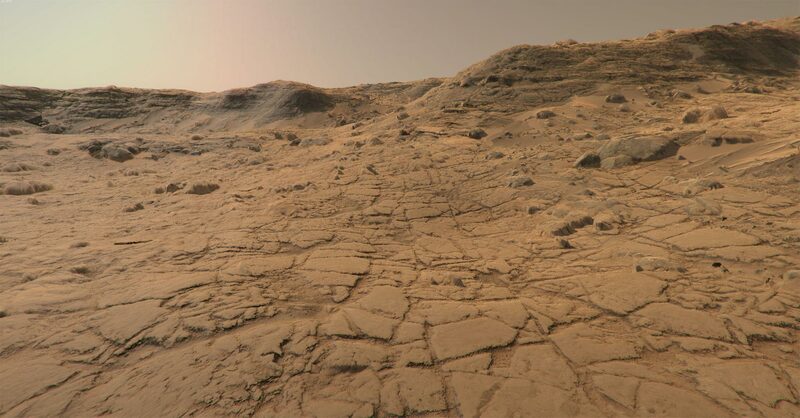 The more white there is, the more rocks will be covered in sand. 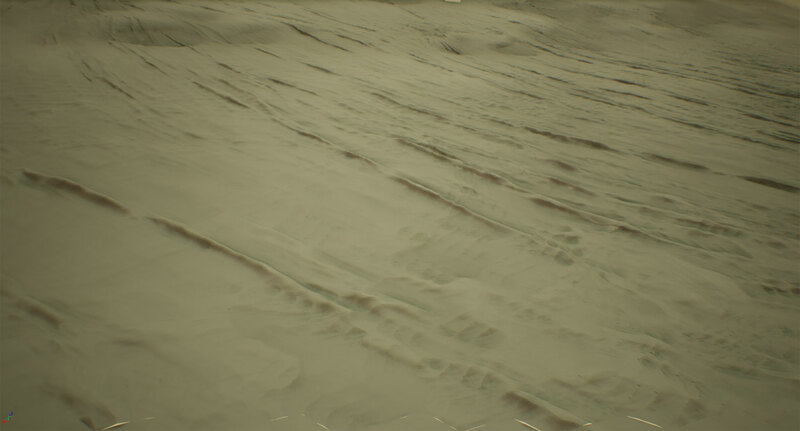 The sand texture is slightly blurred heightmap texture that creates small slopes against the rocks. 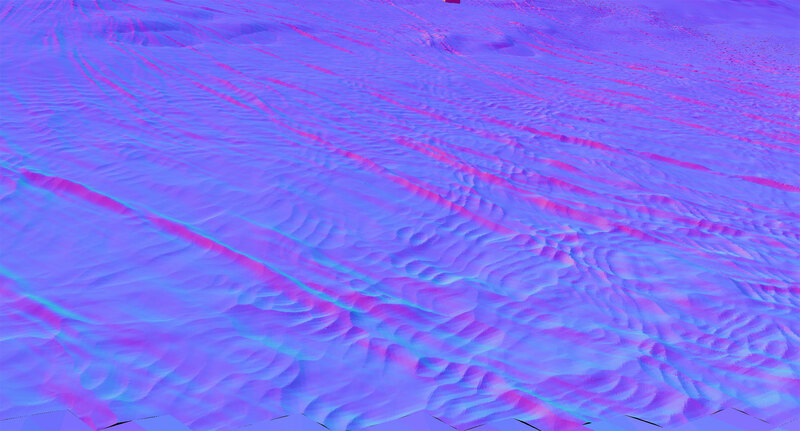 The more sand is shown, the more flowed dunes are revealed. 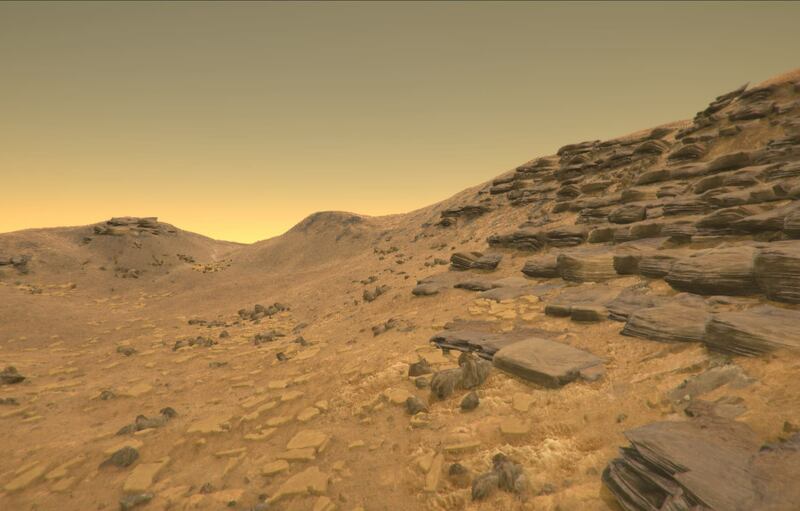 Realtime terrace effect such as the filter found in World Machine but this is realtime. Made using simple math and displacement. 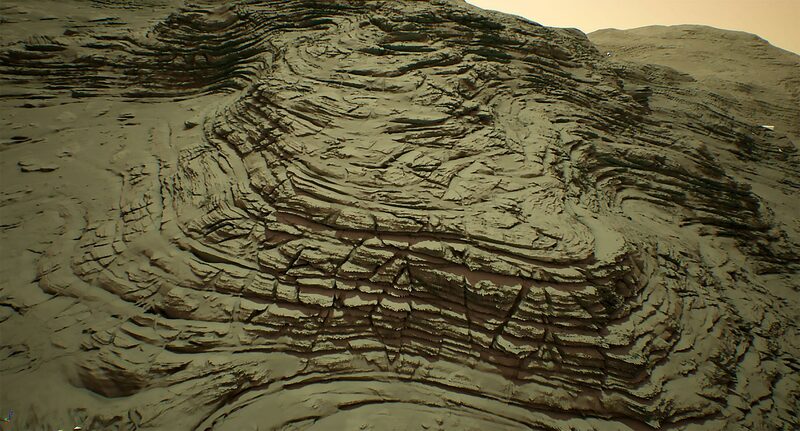 Procedural created rocks covered in sand. After a few tests with simple textures with cracked rocks, I tried a different approach. 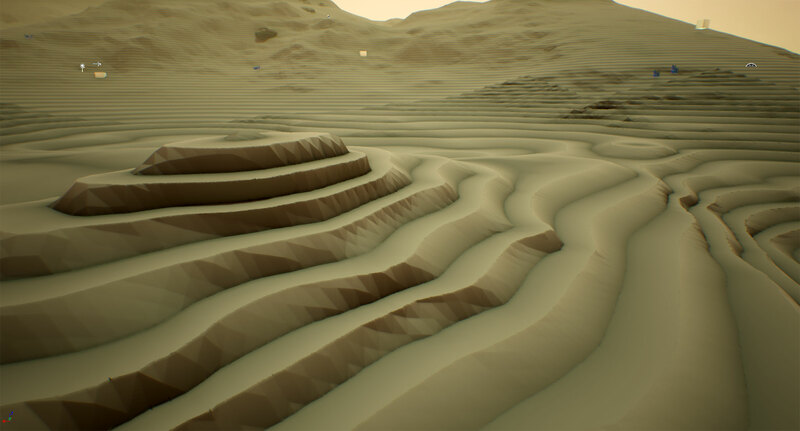 Using simple math to create a stepped displacement out of the height map of the terrain and cut out these steps with a crack mask. This create a much more organic and natural look. The normals are generated using DDX and DDY. 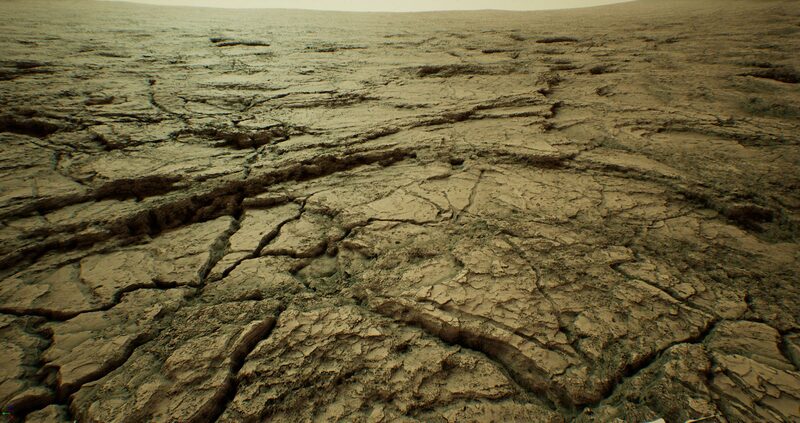 The blocky artefacts are hardly noticeable since the tessellation is very high and the surface very rough. Drag the slider to see the difference between flow modifier set to zero and to an more extreme value. Stil on a mission to crack the code to create vertical flow lines using realtime shader techniques. 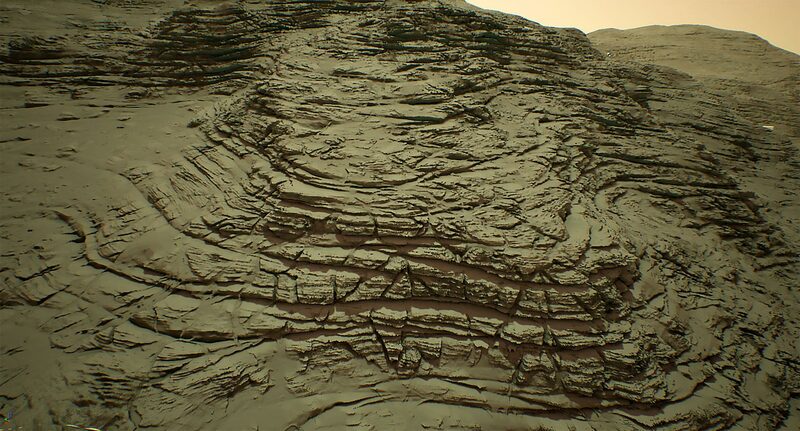 Similar to the erosion flow masks that comes with World Machine. This shader is very heavy on performance because it samples one texture a lot of times with an offset along the vertex normal. It creates however natural looking flow lines flowing on slopes and merges together in the flat areas creating sand ripples. Also, here I did not sample normals, I rather used the auto generated normal map feature with also creates the blocky artefacts. Testing ways to create a cracked mask based upon white / black input. White will be most cracked to almost invisible and black remains solid shape. The linear gradient can be replaced with a height map. So this way, I am able to paint areas on the foot of hills or other places where I want the rock to be more cracked. Last revision using Unity. Although I like the textures and the general look and feel, the landscape stil looks way too textured. 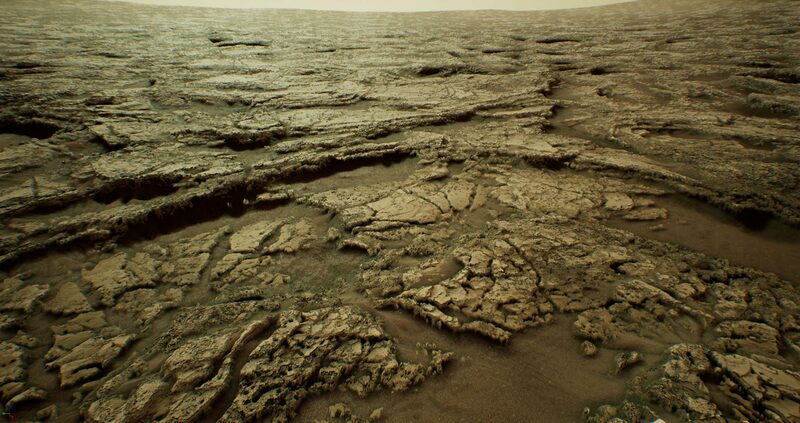 Colours, structures, flows etc in nature are strong attached to the shape of a terrain. 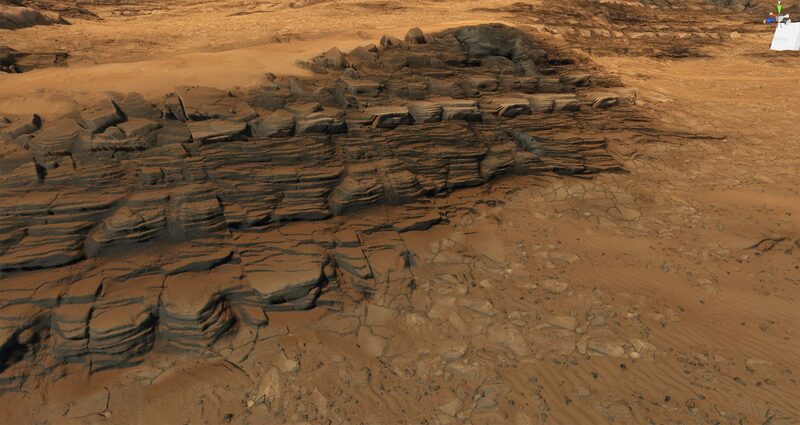 Also, the shader for the terrain was way too heavy in terms of layers. I used a lot of separate layered and combined textures to add a lot of variety to it. Trying to create a shader that fixes structures on a more procedural way gives the landscape a more organic look. Triplanar setup with tessellation. The planar projections are very good noticeable, something that has been fixed with a more clever setup later in Unreal. Creating dust using a pixel normal feature. Extracting the blue component and attacking a custom made remap node to create more contrast. The mask is used for several things. E.g. red dust against the more greyish stones, more roughness etc.